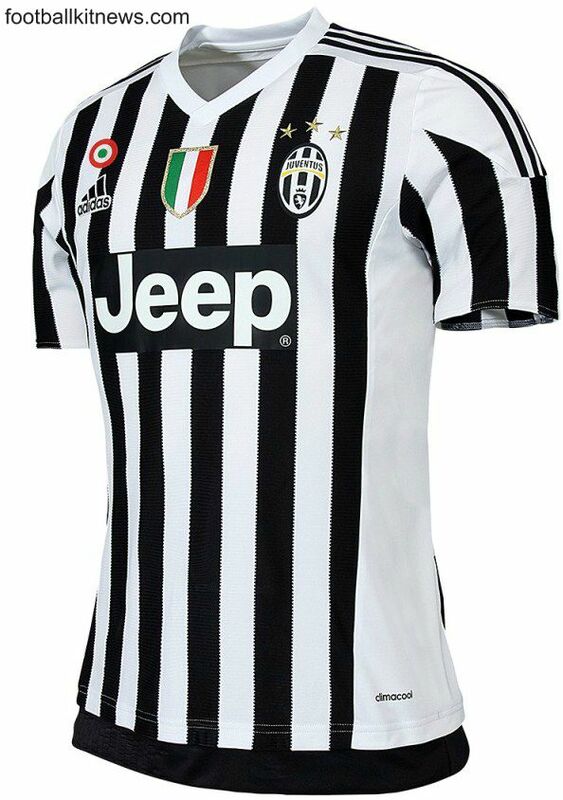 These are the new Juve kits 2015/16, Italian champions Juventus FC’s new home and away strips for the upcoming Serie A season. 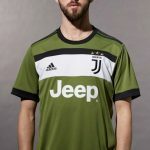 These new uniforms are the first to be made for the Bianconeri by Adidas as part of a new six year deal inked with the sportswear giant to replace Nike as kit partners. Juve won Serie A comfortably and also had a great European season, beating the likes of Dortmund, Monaco and Real Madrid en route to the Champions League final in Berlin, where they lost to Barcelona. They also won the Coppa Italia, thus narrowly missing out on a historic treble. The pic of the home jersey matches the leaked one we posted on our site a few weeks ago. 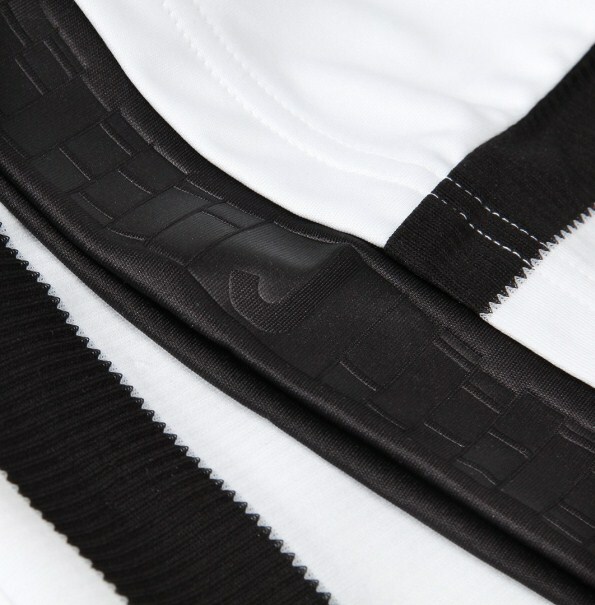 There are some subtle touches by Adidas on the traditional Juve stripes, with a “J” carved on to the bottom, and rectangular elements paying tribute to the exterior design of the Juventus stadium. 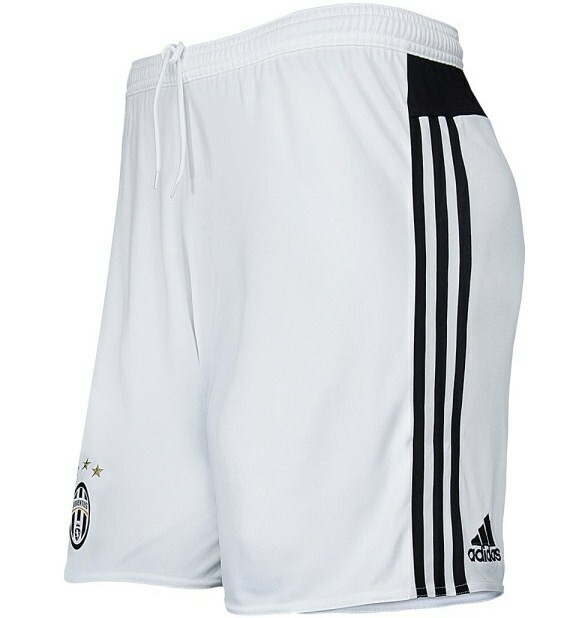 The home shirt is paired with white shorts and socks. 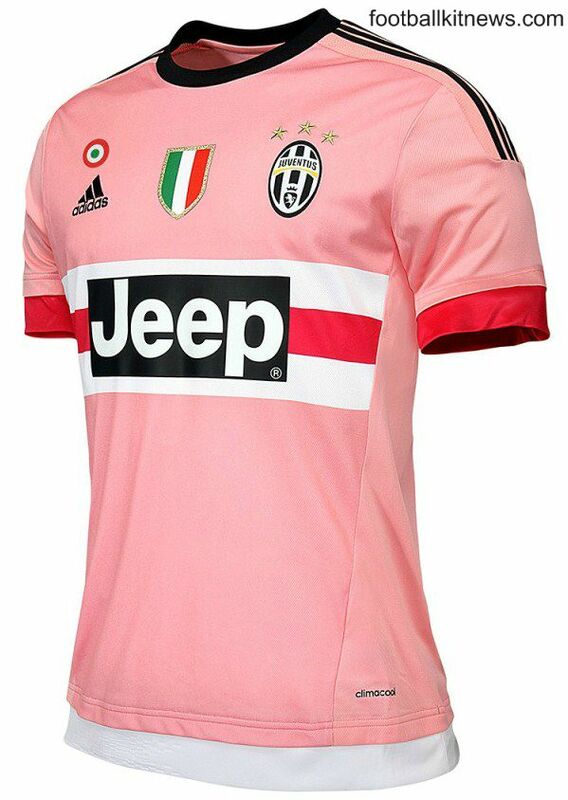 Juve used to play in pink between 1897 and 1903, and Adidas have chosen to use the same colour for the Bianconeri’s change strip. 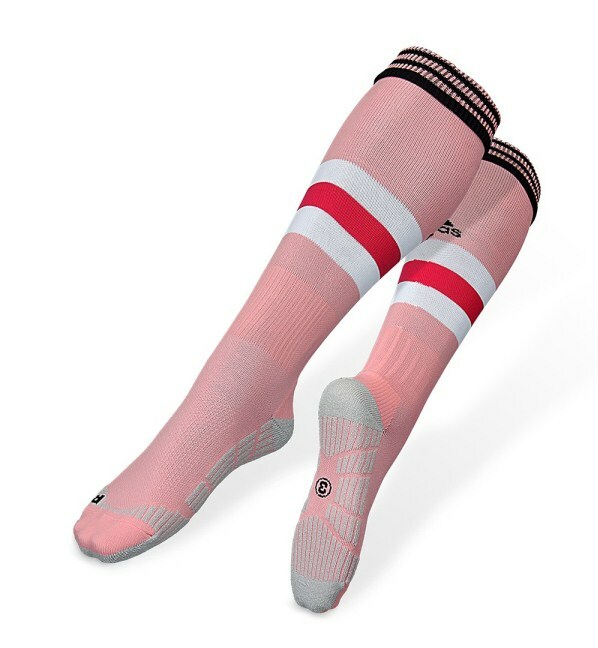 The shorts will be black with the socks being pink. 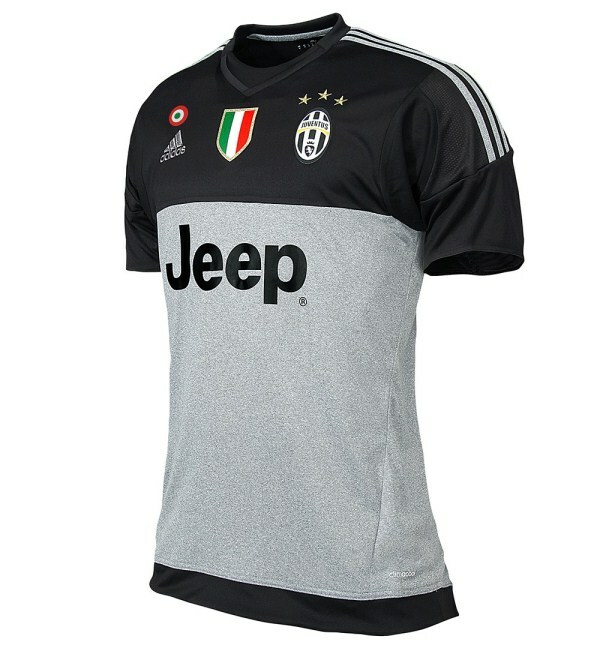 Juve have also released a new goalkeeper kit, which can be seen in the pics below. Jeep, the brand owned by Fiat Chrysler Automobiles, will appear on the front of all three jerseys. This entry was posted in Italian Serie A and tagged Adidas on July 1, 2015 by Football Kit News. 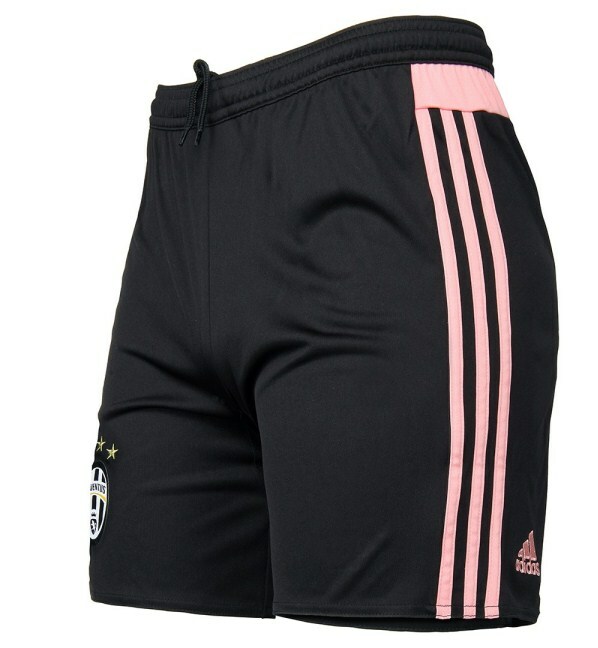 I think there was a genuine worry that Adidas might make a balls of Juventus. It’s safe to say they hit a hat-trick of 30-yard bicycle kicks into the top corner with these three though. What is going on with the stripe in the away kit? Expected better from adidas – on both shirts. Pure class, particularly the home kit. Love it. Yes, glad the white shorts and sock are back permanently. Bold red trim on that away kit. Putting black on the Jeep is not neccesary, Juve.